"Spirituality in Higher Education: autoethnographies" by Heewon V. Chang, Drick Boyd et al. O'Shea, E. R., Torosyan, R., Robert, T., Haug, I., Wills, M., & Bowen, B. (2011). Chapter 5 Spirituality and Professional Collegiality: Esprit de “Core.” In H. Chang & D. Boyd (Eds.) 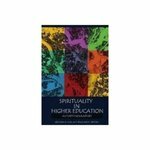 Spirituality in Higher Education (pp. 87-107). Walnut Creek, CA: Left Coast Press, Inc.
Chang, Heewon V.; Boyd, Drick; O'Shea, Eileen R.; Torosyan, Roben; Robert, Tracey; Haug, I.; Bowen, Betsy; and Wills, M., "Spirituality in Higher Education: autoethnographies" (2011). Nursing and Health Studies Faculty Book Gallery. 5.